Robert Leonard Gentry, of Belton, Missouri was born June 5, 1949 in Albuquerque, New Mexico the son of Leonard Murrel and Ruby Ellen (Fay) Gentry. He departed this life Friday, January 18, 2019 at his home surrounded by love and family at the age of 69 years, 7 months and 13 days. On June 26, 1971, Robert was united in marriage to Belinda Joy Crowhurst in Albuquerque, New Mexico. Robert was raised Southern Baptist but due to health constraints in family became involved with online ministries and enjoyed Kenneth Copeland, Kim Clement and Joseph Prince teachings. 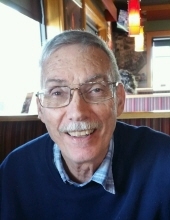 He was employed by Safeway Stores for 15 years as a clerk and many years as a produce manager and later worked for 17 years as a department manager and retail clerk for Lowe’s Home Improvement in Olathe, Kansas. Robert loved to read and work outdoors on his landscape and yard. One of his greatest accomplishments was going back to college in his 30’s and getting a degree in Forrest Technology. Robert passed good work ethics and love for God onto his children. He was a loving husband and father and will be greatly missed. Besides his parents, he was preceded in death by a sister-in-law, Darlene Louise Garrett and a niece, Cindy Garrett. Robert is survived by his wife, Linda Gentry of the home; two sons, Brian Robert Gentry and wife Myra Gonzales-Catli-Gentry, Belton, Missouri; Kevin William Leonard Gentry, Boston, Massachusetts; other relatives and many friends. Cremation. A Celebration of Life Gathering will be held Saturday, February 2, 2019 from 2:00 p.m. until 4:00 p.m. at their home in Belton. To plant a tree in memory of Robert L. Gentry, please visit our Tribute Store. "Email Address" would like to share the life celebration of Robert L. Gentry. Click on the "link" to go to share a favorite memory or leave a condolence message for the family.